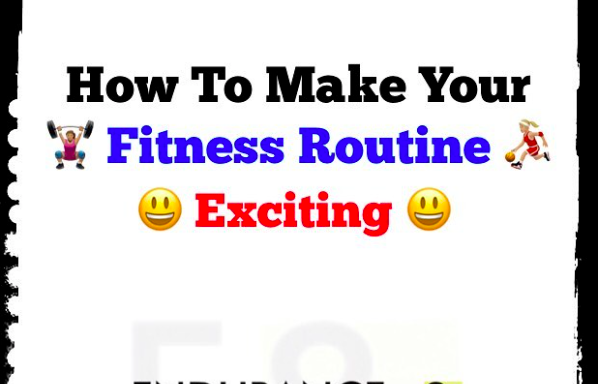 Are you trying to break your workout boredom? Tackle your boredom by switching your focus to another component of fitness. 1. Body composition. The average man tends to have about 18 – 24 % body fat, while the average woman has 25 – 31 % body fat. So a “fit” individual may aim for a lower percentage. 2. Cardiovascular endurance. Anything that forces your lungs, heart, and blood vessels to work for extended periods of time (e.g. 12 min run or 5 min step ups on a box). 3. Muscular strength. Maximal force your muscles exert against an opposing force. 4. Muscular endurance. Ability to contract your muscles for an extended period of time without fatigue. 5. Flexibility. Ability to move a body part through a full range of motion. 1. Agility. Ability to move quickly and easily change direction. 2. Balance. Ability to adjust your body position and remain upright. 3. Coordination. Ability to perform tasks accurately & efficiently while recruiting the senses (e.g. sight/hearing) in conjunction with body movements. 4. Speed. Ability to move all or one body part quickly. 5. Power. Ability to combine strength with speed while moving. 6. Reaction time. Ability to move quickly once a signal to start moving is received. Contact us for online fitness, nutrition plans or injury management.